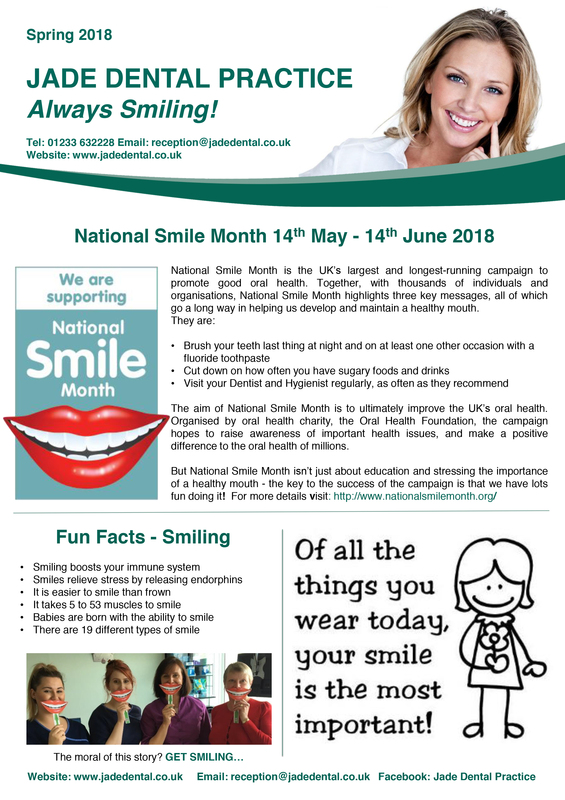 Our aim is to provide you with news and views from the Practice as well as featuring key dental procedures and information to help you improve your smile and dental health. 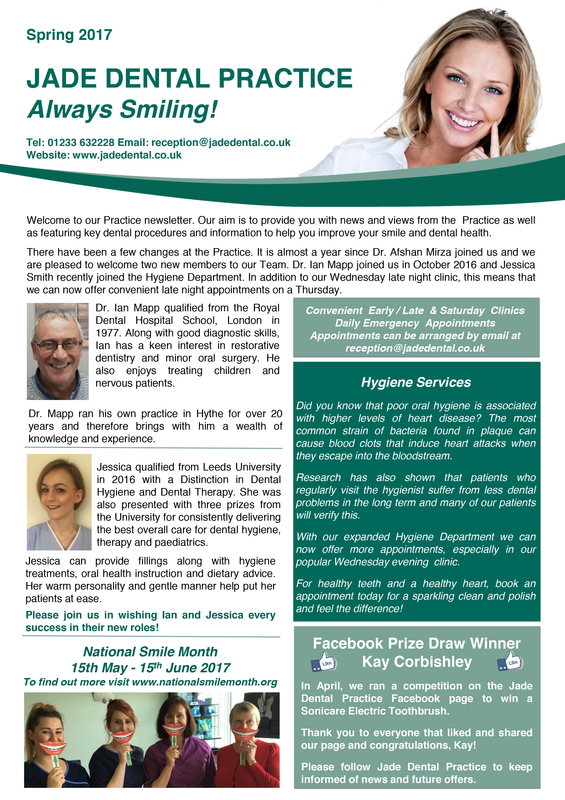 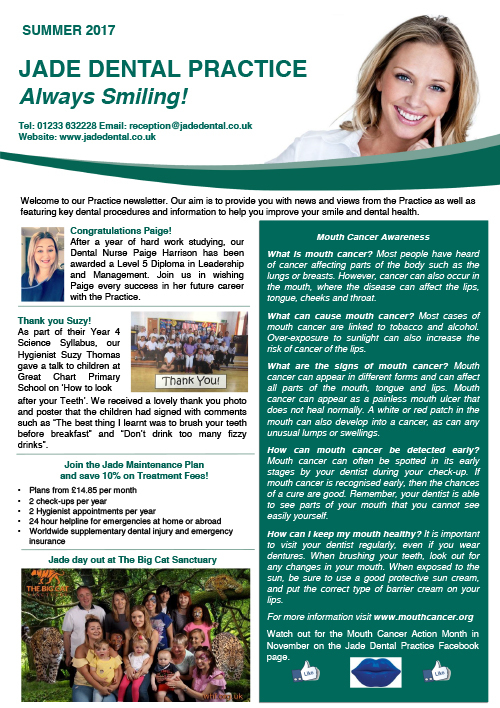 Please follow us on the Jade Dental Practice Facebook page to keep informed of other news and offers. 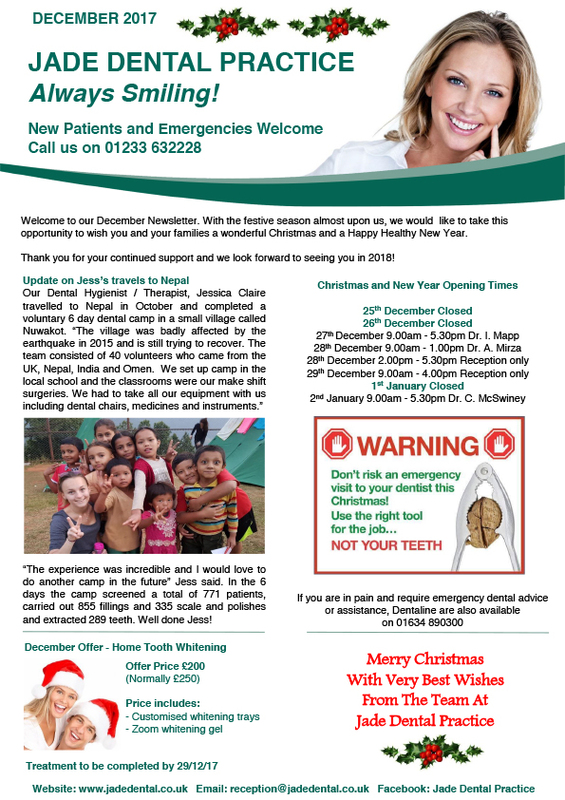 Click on the Newsletter thumbnail to open a pdf.